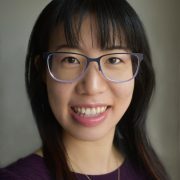 Wendy Tay is a Program Manager at Microsoft Research Montreal lab based out of Montreal, QC, Canada. She works with researchers, applied researchers, and engineers on research projects and products using the natural language deep learning. She leads ideation, product design, and innovation transfers for technologies coming out of the lab. Before joining Microsoft Research in 2017, Wendy was part of Azure Identity, where she drove telemetry and developer engagement efforts on the Microsoft Graph team (developer APIs). She has an interest in artificial intelligence, new product development, ethical considerations of technology, and UX design. Prior to joining Microsoft, Wendy was a Technology Associate at Thomson Reuters. Wendy graduated from the University of Michigan with her Ph.D. in chemical biology in 2014.